Caroline is a Director and has a passion for equine law. She also deals with professional negligence claims and property disputes, with experience in resolving disputes through both mediation and traditional court proceedings. Caroline heads up our Equine law team and advises on a broad range of matters relating to equine law, including horse co-ownership issues relating to expensive competition horses and sale and purchase disputes. She has been described as “one of the best equine lawyers” in The Legal 500. Caroline is a member of The Equine & Animal Lawyers Association. To find out more about our Equine law team, click here. Caroline also handles a large amount of property disputes, including adverse possession, rights of way, and boundary disputes. She recently worked on a landmark case in the High Court involving the interpretation of an agricultural right of way. She has also been recognised in The Legal 500 for her expertise in property litigation”. Caroline advises on complex high value professional negligence claims against solicitors, accountants and other professionals. Her negligence work also includes claims against the veterinary profession. 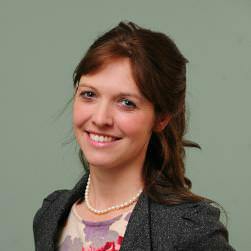 Caroline completed her legal training with Actons, and qualified as a solicitor in 2007. She became a Director at Actons in August 2017, and heads up our Dispute Resolution group. "Thank you all for the professional help that you have given me and my family over many years." Caroline Bowler is 'one of the best equine lawyers', and also has expertise in professional negligence and property litigation.